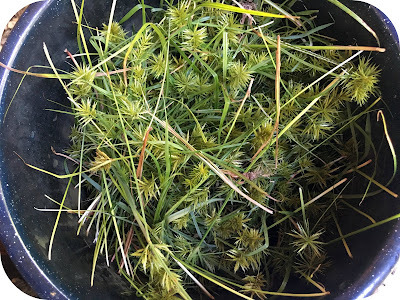 Warning- there are lots 'o photos coming in this post! I had a great opportunity to take a natural dye workshop taught right in my own community backyard. 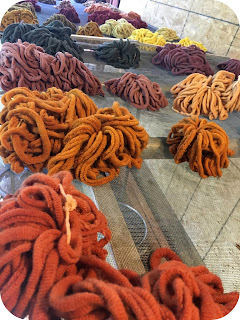 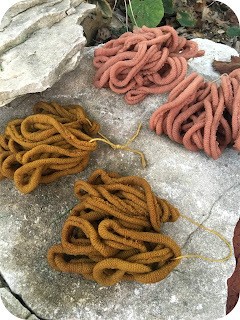 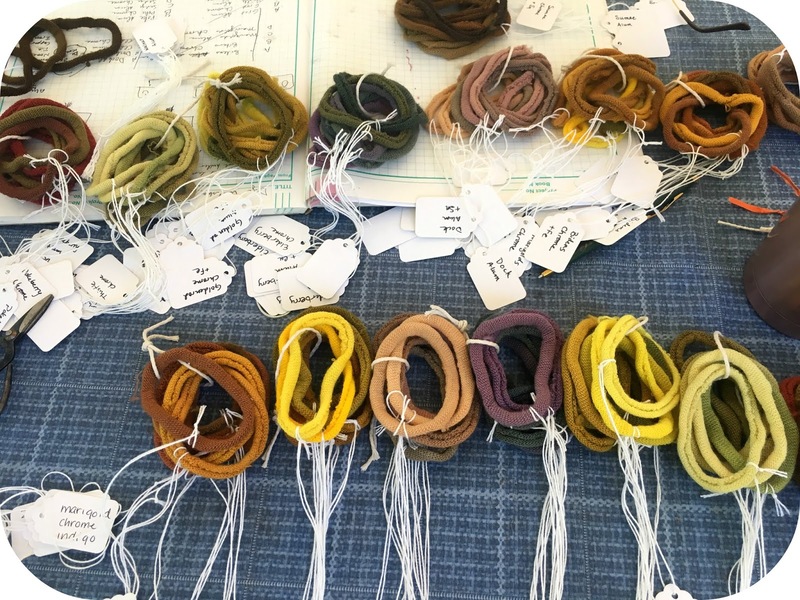 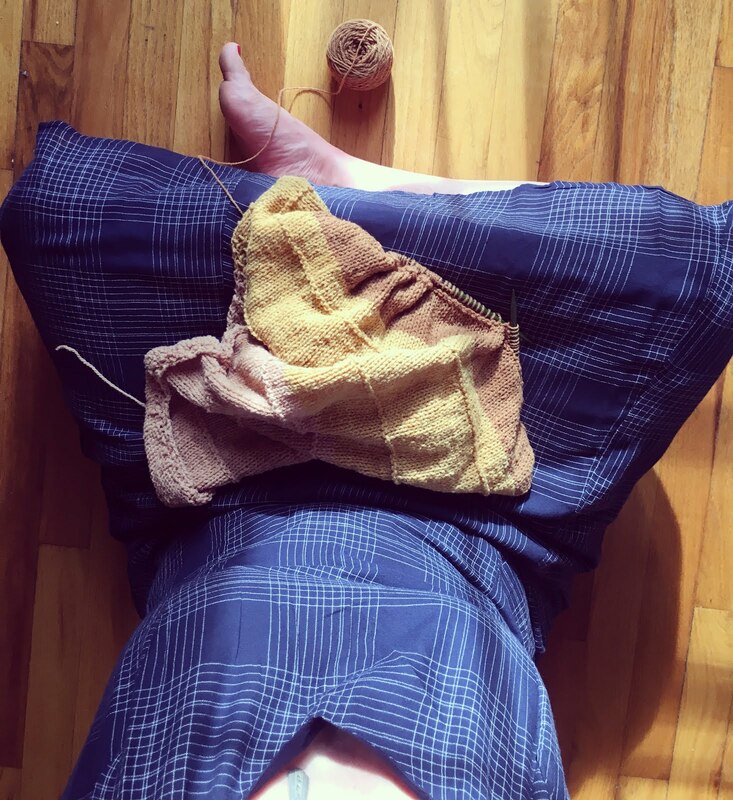 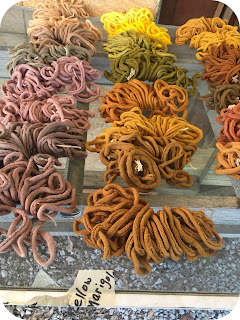 I have known of this fiber studio called Hillcreek Fiber Studio for a while but until I started falling down the natural dye fiber path I had not explored it too much. 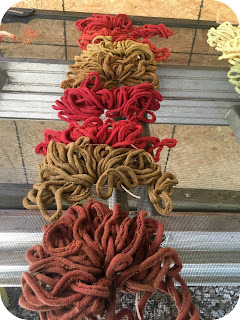 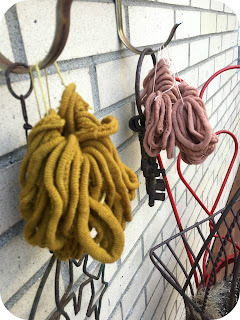 I had been thinking of reaching out to the owner when I ran into her at a fiber swap and we were talking about natural dyeing and she mentioned there might be some upcoming opportunities to join in. 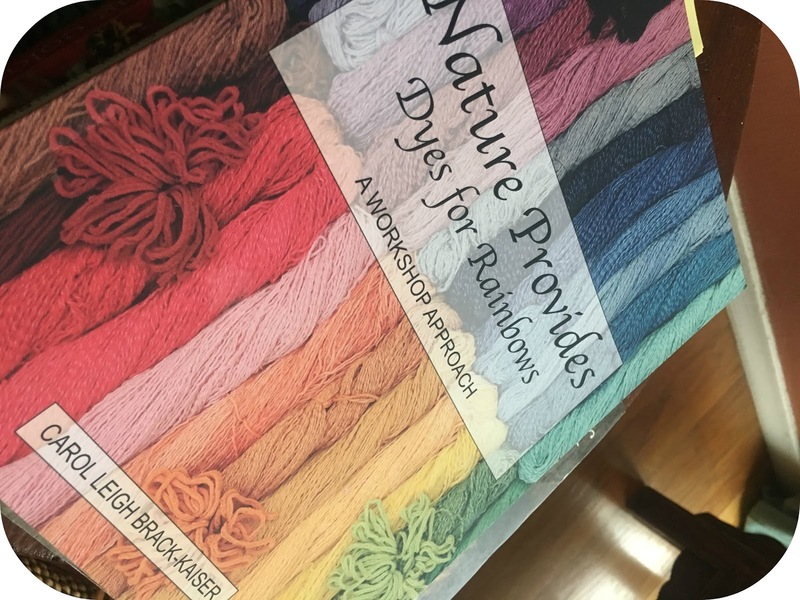 I jumped at the opportunity! 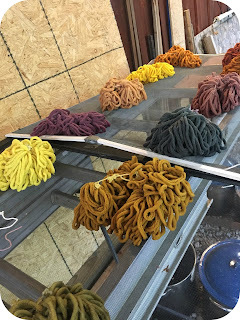 I took a couple days off from work and joined a couple of women that drove down from Michigan and spent 2 glorious days working with natural dyes. 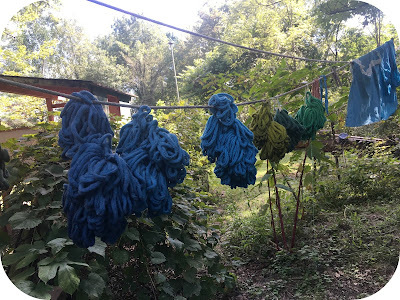 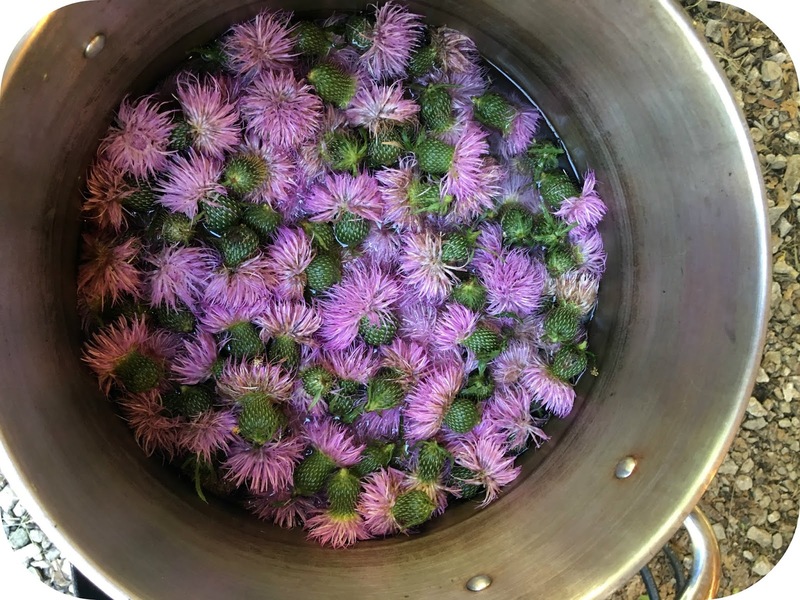 The first day we de-stemmed berries, gathered dye plants from pastures and meadows, and dyed up plants. 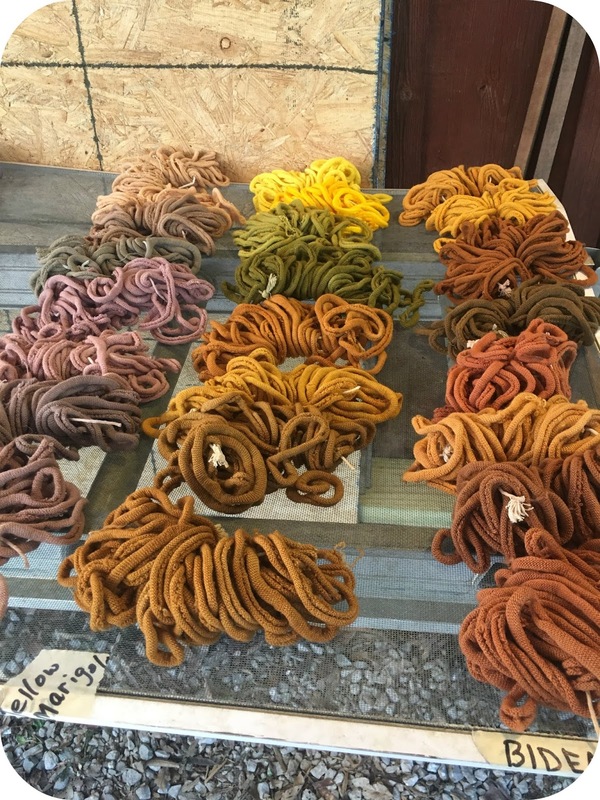 We strained the plant material and then divided up our dye baths for each of the mordanted fiber bundles. One bundle was alum mordant and the other was chrome. 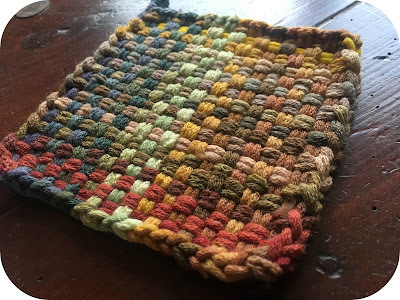 The material that we used was wool potholder loops. Let me tell you, I fell in love with potholders all over again! I have not made one since the boys were little and to make naturally dyed wool loops- I was in heaven! 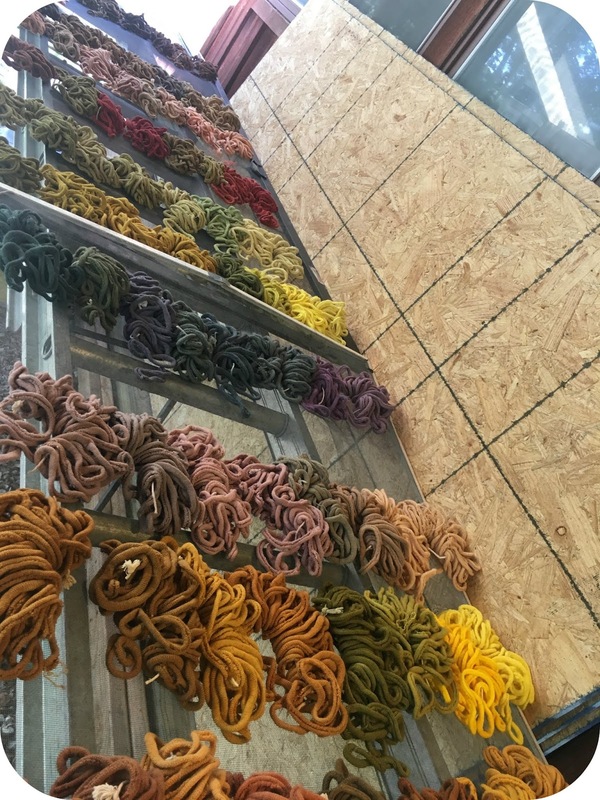 At the end of the first day we had our piles of dyed loops out on screens to set overnight. 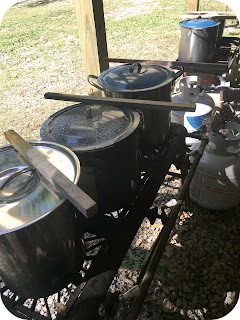 The next morning we starting getting our after baths ready and basically had 3 mineral/metal salt baths for each mordanted bundle to see how the metal/mineral salts affected the color. It was amazing to see the differences and how you can modify the colors. We were also able to play with some indigo and saxon blue. 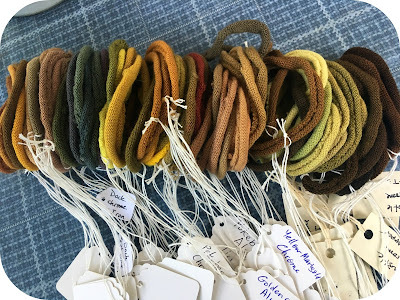 By the end of the second day and the workshop we had samples from all of the colors. We had about 80 some different colors from 10 or 11 plants. We then were able to keep some of the loops to make some potholders with. 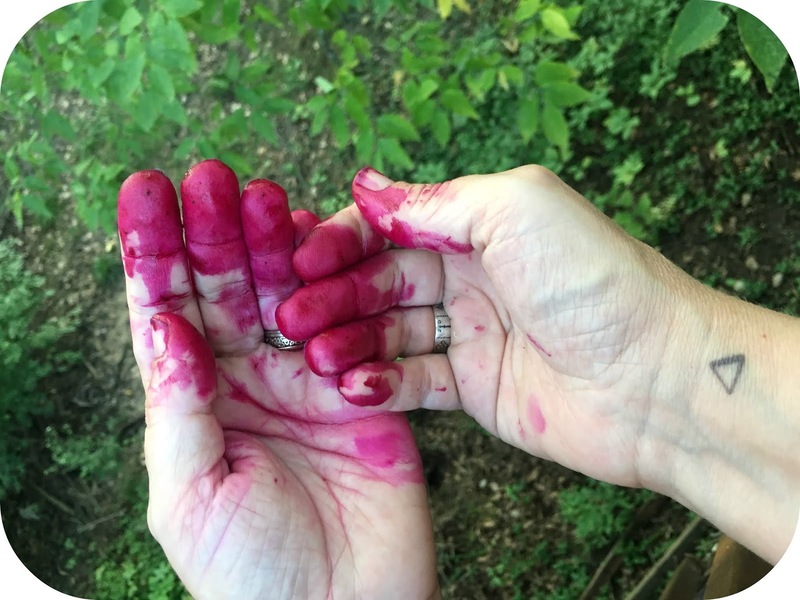 I cannot rave enough about the experience. 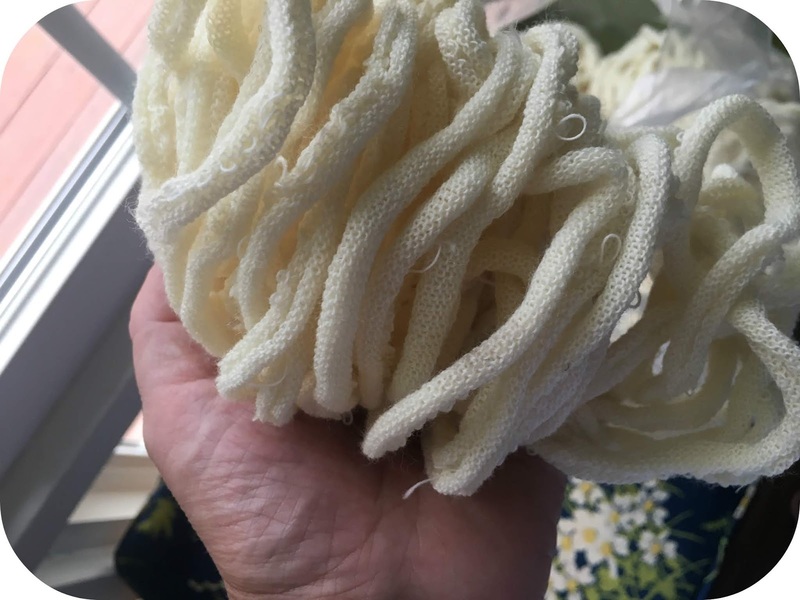 I learned so much about the plants, mordants, modifiers and their reaction with the wool. The setting was also a great experience. 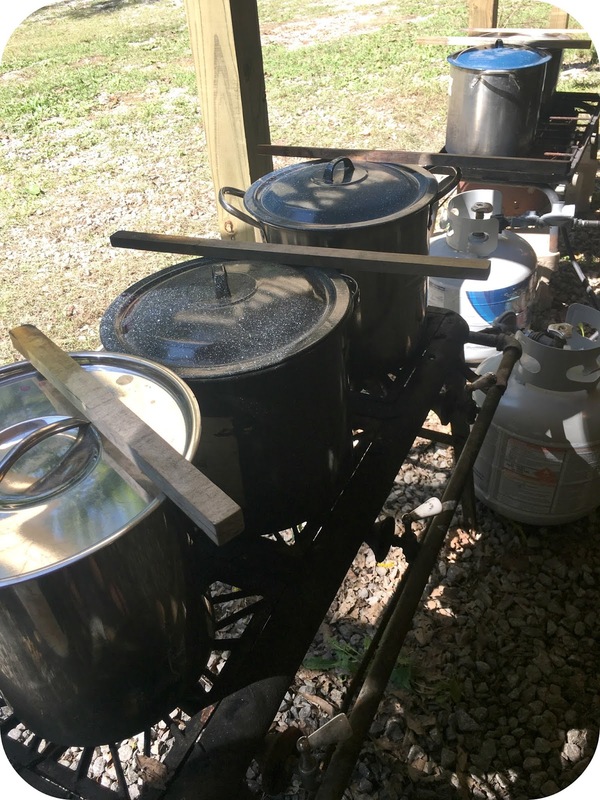 To be at a working fiber studio out in the country and be fed delicious food, (mmm the pawpaws!) was a treat to my soul! 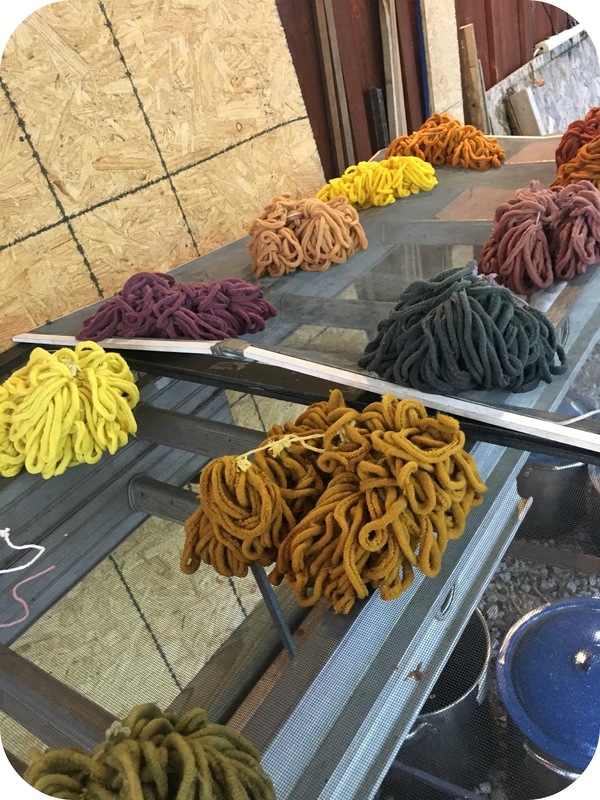 I was so inspired I bought a pound of the wool loops to practice some of the techniques at home. 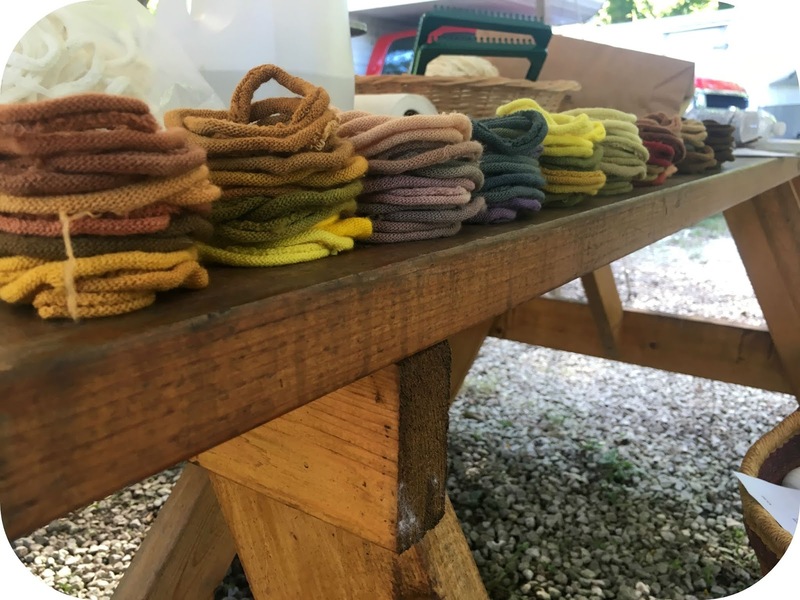 So a little bit of a spoiler in case my family and friends are reading, natural dyed wool potholders will be big on the holiday giving this year! 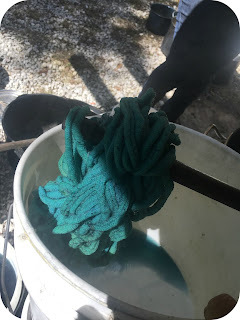 So far I have done a small batch of onion skin and did one more exhaust from a bottle of avocado dye that I had. 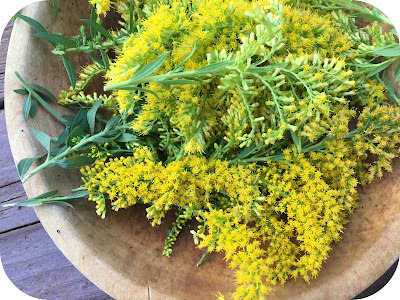 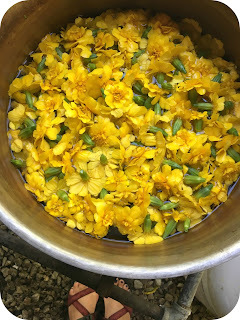 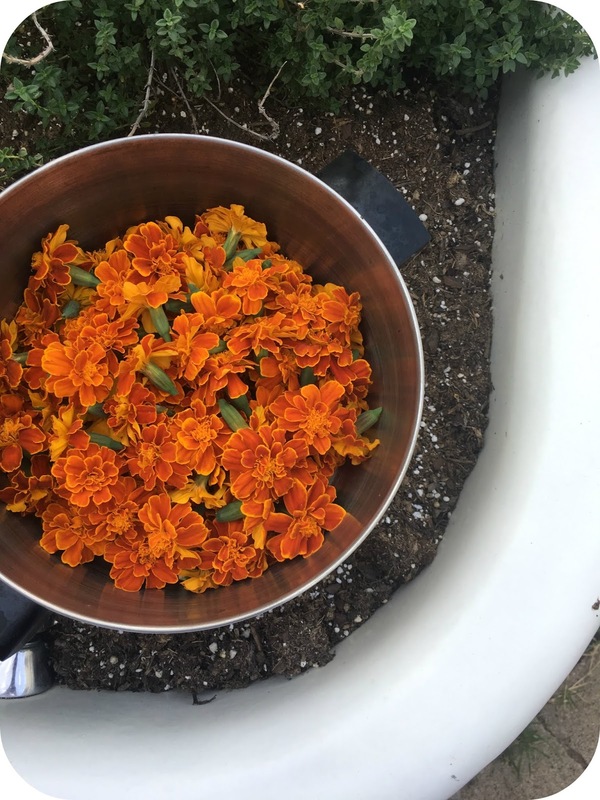 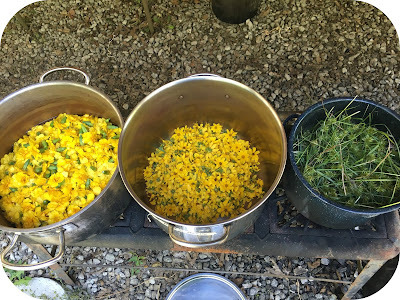 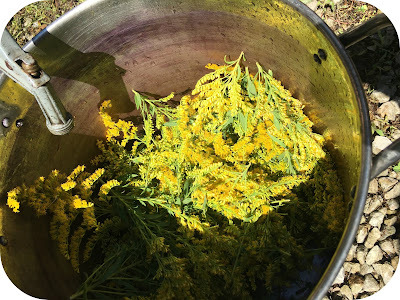 Last night I harvested my marigolds last night and cooked a dye bath to use this weekend and have a freezer full of dye plants ready for me including goldenrod, pokeberry, elderberry, walnut, and more avocado. I also splurged on getting some dry madder root and more osage orange. I hope you enjoy the pictures and please check out Hillcreek Fiber Studio, Carol Leigh has written a book with a workshop approach that I highly recommend. 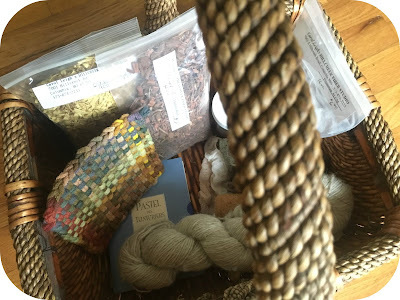 I am so glad to have made this connection in my community.